Proposal for “Designing louder than words” Competition, organized by Chicago´s Design Museum, 2019. 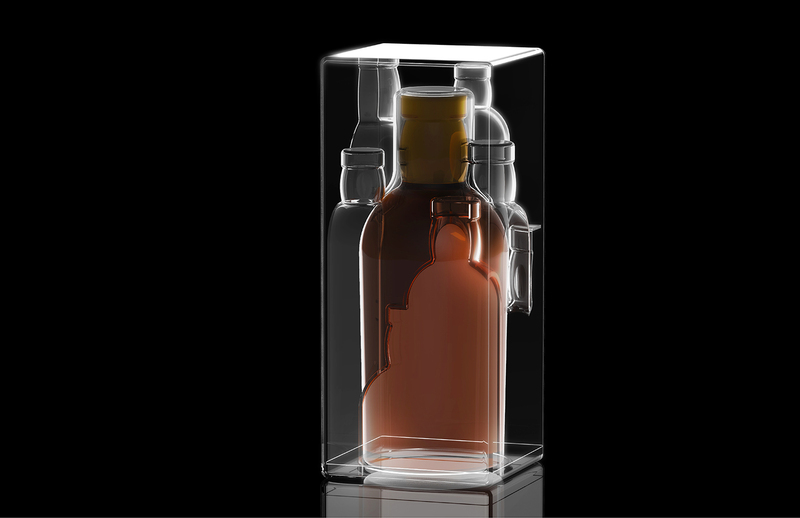 City in a Bottle is a reinterpretation of the idea of the box. 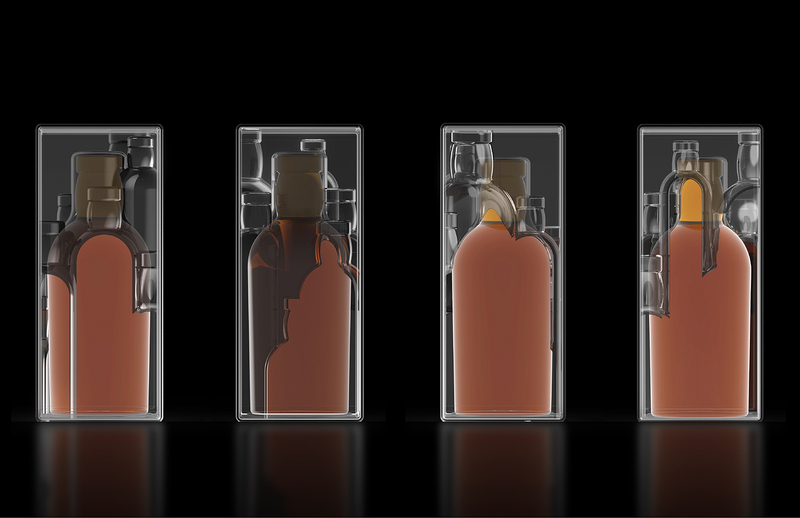 While still protecting the bottle, it does not hide or conceal it, but reveals and celebrates its content instead. 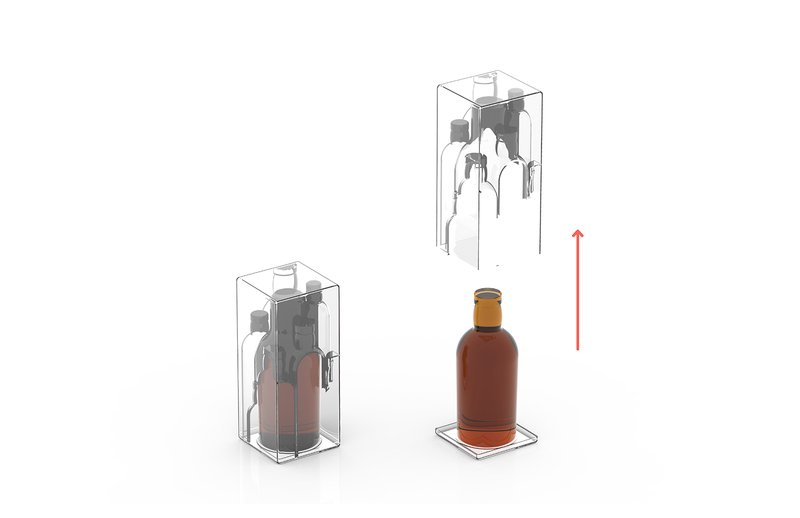 Although descriptions could still be placed at the bottom, the box allows the bottle to speak for itself. In Chicago, the identity of the city is the city itself. 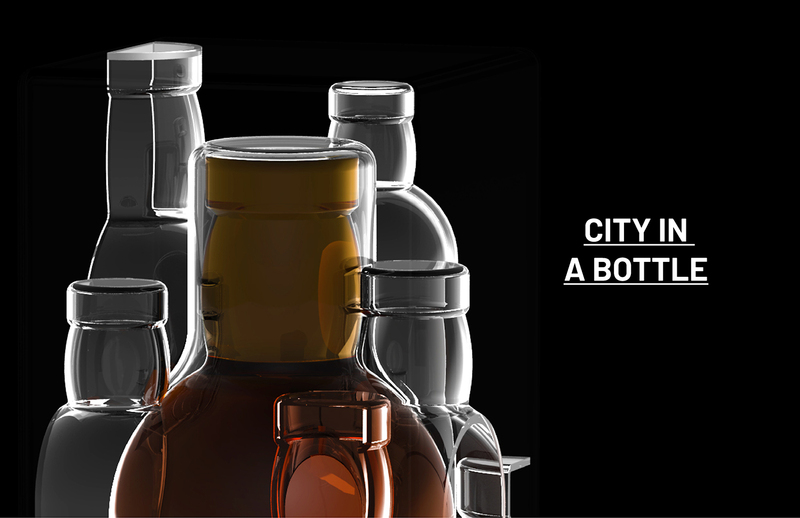 In City in a Bottle, the identity of the whisky is the whisky itself. 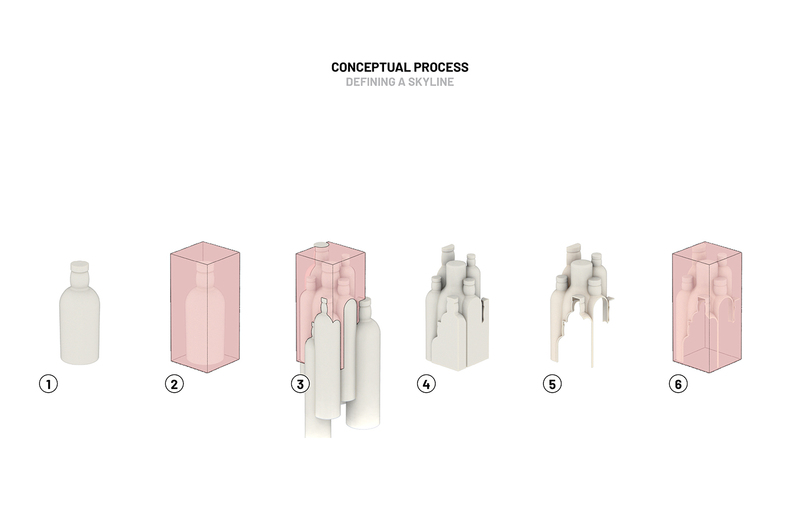 Placed in a metaphorical State and Madison, the whisky bottle acts as the origin of the city, which is surrounded by transparent hard plastic lookalikes generated through injection molding. The material chosen for these bottle-shaped skyscrapers emulates the towers that, with floor to ceiling glass facades, have become the trademark of the city. The skyline is treated in the design as a line but also as a volume. At first sight, we perceive the plastic figure as a whole, but a closer look reveals the nuances in the elements that construct the Boolean shape of the skyline. Gradually, the individual components become more evident, particularly when paying attention at how they intersect with the walls of the box. Similarly, when drinking the 15-year-old single malt, not all its flavors of caramel, vanilla, baked orchard fruits, ginger and baking spices will come out at once, but will instead be revealed progressively. Box and whisky want to be enjoyed over time in order to allow their complexities to surface.